We just spent Christmas and the New Year with my parents and 5 siblings and families in a log cabin in the Smokey Mountains of Tennessee. The cabin had a large balcony/porch overlooking a forested valley with mountains in the background. One day we watched the sun traverse the sky somehow creating 2 hot-spots with rainbows crossing them. 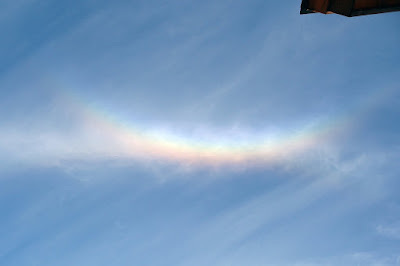 There was also a 3rd rainbow straight up above us in the clear sky. Unbelievable. 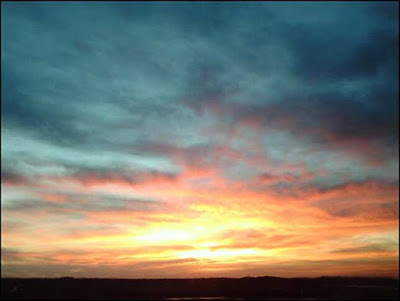 This is a pic of Sunrise off Interstate 90 between Rochester and Syracuse January 8th, 2008.